The city of The Douro fascinates locals and travellers. Its nightlife, the wide variety of restaurants available, the sweet wine and the people are some of the reasons why visitors fall in love with it. 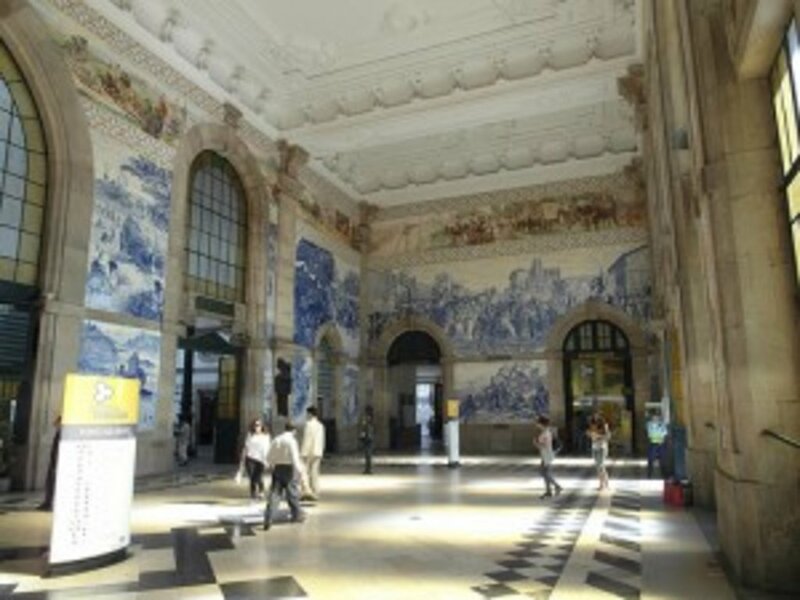 Porto is a beautiful mosaic of colourful facades, baroques churches and beaux-arts buildings. Here I invite you to add this wonderful destination to your city calendar! The journey starts at Rei dos Queijos (154, Rua do Bonjardim), a great place to get some energy thanks to the delicious Portuguese bakery- Try la pérola, a variation of the classic pastel de nata, the most famous Portuguese egg tart pastry. We arrive to the old part of the city, which has been declared a UNESCO World Heritage Site. The next stop is at Torre dos Clérigos, where travellers will need to climb 200 steps to get to the top. Of course, you´ll receive an amazing reward: a beautiful panoramic view of the city. Not too far from this tower, we´ll find the romantic Librería Lello (144, Rua das Carmelitas), an institution in the city that was described as "divine" by The Guardian in 2008. This charming bookshop was also the film setting for the second part of Harry Potter and apparently its author, J.K. Rowling, lived in this city for some years. It is midday and Mercado de Bollhao, very close to Avenida dos Aliados, is the perfect option to start to boost your appetite before finding a place to have lunch. It opened its door in 1914 and the truth is that it hasn't changed so much since that time. Here you will see how venders sell all kinds of local products such as vegetables, meat and fish. It´s time for a coffee whilst enjoying amazing views of the river and the bridges. La Ribera is the bank next to the river and where all the restaurants are. 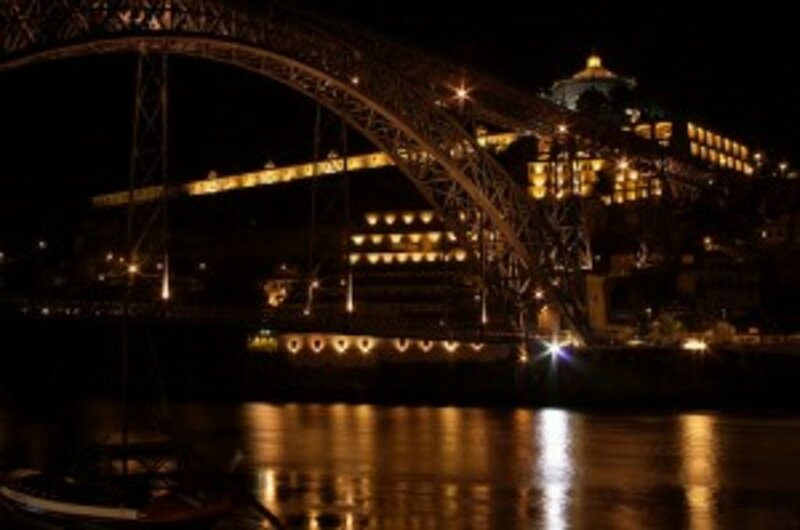 The city of Porto is connected to the neighbourhood of Vila Nova de Gaia through 6 bridges. 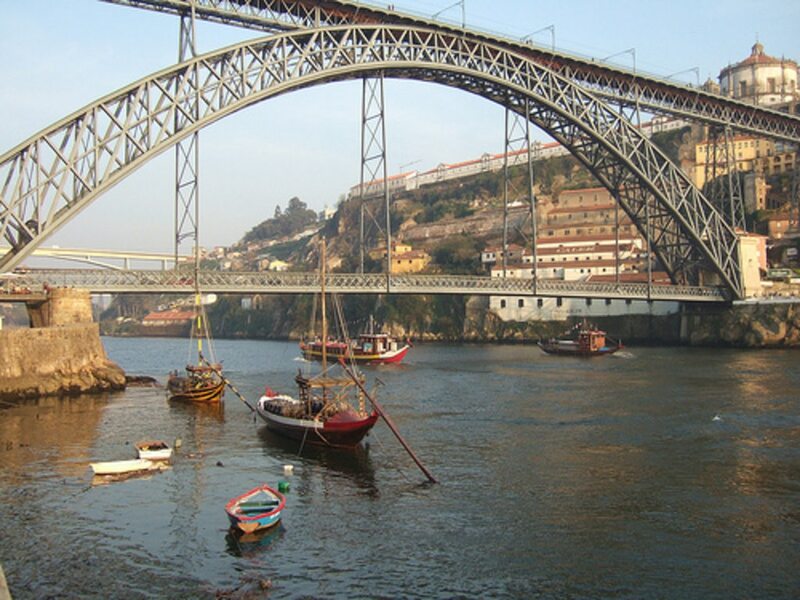 Ponte Luís I is without any doubt one of the most famous two-hinged double-deck arch bridges in Europe. Don´t hesitate to cross it and take a picture of the river with the houses on the background. Simply romantic! 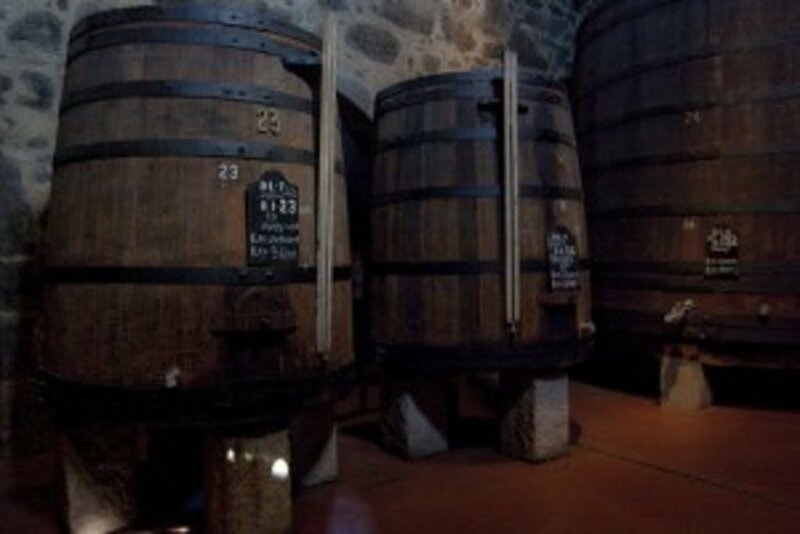 Vila Nova de Gaia hosts over twenty Porto wine cellars and most of them offer guide tours. One of the most famous is Sandeman (3, Largo Miguel Bombarda). Here you will learn about the difference between a Porto white wine, a tawny wine and a rubí one. Once you are aware about all these differences, it will be time for the wine tasting. If you are thinking about getting a souvernir, remember that chocolates made of Porto wine are a good option. After the wine tour and when the sun sets, you will probably fancy a drink in one of the cafes next to the river. Enjoy the music, the friendly atmosphere and of course, the views. Ar de Rio cafe (5, Avenida Diogo Leite), designed by the architectural firm Guedes & DeCampos won´t disappoint you. Finish the day enjoying the modern Portuguese cuisine at Restaurante Book by chef Joao Mendes (10, Rua do Aviz). As its name indicates, here you will find books everywhere and this is because this place used to be a bookshop in the past. It´s definitely worth a visit and you'll probably have difficulties in taking your eyes out off of the menu- the Portuguese style cod lasagne and the meatballs are simply irresistible! After a long day it's time to have a drink whilst enjoying good company. Rua Galerias de Paris offers a wide variety of places to enjoy the first cocktail of the night. Bars like La Bohème o Baixa (very famous thanks to its Cosmo Portos, a mixture of Porto, Cointreau and red fruits) are the best scenarios to have a go and hang out with the locals. If you still have some energy and fancy dancing all night long, visit the legendary Club Indústria which has been opened for more than 15 years.